From "The Crack In the Cosmic Egg"
Stoned freakout total kraut rockers loosing control and turn ordinary strarting kraut/psych rock songs to total chaos! 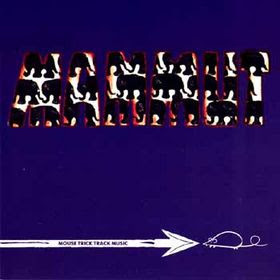 hi there ... i am wondering if track 7 of mammut (1971) is missing by accident?! great blog, by the way !!! Yep, track 7, "Nähgarn Mammut", seems to be missing on this one. Dunno if M.S. could correct, anyway, I'm impressed with the rest! Just wondering why they chose that band name. I need to research more about them. I love their music. It's awesome!